There is a blog post under this, can you read and share this? We need your help, will you help us? SEOmers helps businesses all the time. We are known for saying it how it is and giving advice or help whenever we can. We have never asked anybody to say thanks for any of our support. We have never asked for anything in return. The time has come, to ask for help from people living in Ipswich… if we’ve done you a favour, giving advice or got you out of a pickle…… now this is the time for you to help us, not just us but everyone who has any involvement, struggle or got over issues related to mental health. We are incredibly passionate about helping people who may be less fortunate than ourselves. We often help quite a few charities every single year. We never mention which charities for our own marketing purposes, we do it because we like to think of ourselves as honest people who just care about others. We love helping people do good for the community. We have decided to run a campaign for ourselves with the help of many others who have already jumped at the chance to join forces, for the good of the community. We have liaised with schools, council’s, police and businesses so we can work together to pull off one of the most significant and different male mental health awareness campaigns within the UK, to our knowledge, this has never been done before. We are looking to reach out to males who may be suffering in silence. We’re looking to encourage males who are putting on a front to their friends and family, while secretly hating themselves on the inside. Let’s face facts, men are absolute rubbish about being honest with their emotions or what’s going on inside their heads…we are rubbish at it. Society, for years, has kept telling men to “man up” which indirectly has caused men of all ages to have issues with their mental health. We want to help change that, and those helping us are making this happen in a big way! We would like to invite any male, from any background, race or religion. We do not care if you an accountant, bin man or one of the world’s richest men…. we are merely asking you to come and join up to 1000 other men to go and put their hand up in a photo to tell other men that is ok to have mental issues, which is quite simply, it is ok! Please click the link below to find out more information about this campaign. Thank you for reading, please share this. Today, Dan helped Macmillan raise over £600. If you are unaware of what they do, then please do visit their website here. One of Dan’s friends was diagnosed with lung cancer a few months ago. He decided that he would try to raise some money towards his treatment, his attitude was that he would lose his hair, why not raise some money? 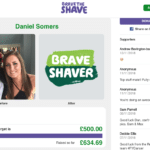 He Braved his own Shave, here is the video that was streamed on various social media platforms on Tuesday 13th August. Dan has helped raise over £600 so far. We want to give a huge thank you to Lee Cousins who owns LGC Mobile Hairdressers in Ipswich for donating his time to do the shave which was chopped on blade ‘0’. No one ever said getting started online was easy – but we’ve all seen a few disasters in our time. Some of the ways in which we start out on the web really do us no favours whatsoever – and while some of these factors can be fairly easy to spot, a lot of them go unnoticed, astonishingly regularly. Let’s take a look at seven of the biggest ways you can really set yourself back before you really get started. Too many people are keen to jump straight in and build a catch-all website and fill it with content that appeals to a wider competition – this really is doing yourself a disservice. What you should be doing is plenty of research – honing your online presence to a specific need an audience to capture their interest and to provide them with a one-stop shop. Don’t just guess – do your homework. This is a big one – plans do matter, and when it comes to ensuring that your business and brand survives online, you’re going to need to know where you want to go and what it is you want to do. This is essential for communicating with web designers as well as your prospective clients – build yourself some goals, set yourself some targets and be ruthless – reward yourself at the small milestones but for your own sake, think big – don’t do this on the fly. Yep – one of the biggest ways you can truly shoot a website in the foot before getting started is leaving it to its own devices. You’re not going to start ranking highly for keywords people are searching for on Google unless you partner with a professional who knows what they’re doing, or at least work on it yourself – Anyone can rank “rent elephants in Ipswich” but if no one is searching for it, it is not SEO or marketing. You’re likely to be tempted to market your brand and your social media to your family and friends – this makes sense particularly if you’re just starting out and are unsure about what you might be doing – but you’re going to need to start branching out and approaching people who are beyond your network to get long-term success to come to you. Facebook isn’t being particularly kind to businesses right now with regard to proposed changes to the News Feed – and you should take advantage of really branching out. This goes for all walks of life and work – but work with toxic people who are more about their own success and less about yours and you’re only going to dwindle. Partner with firms and professionals who offer genuine support – build mutual relationships for long-term success! You want the right men, not yes men! (or woman). When you’re promoting yourself online, you may be tempted to leap into something like Facebook promotions – but a lot of these social media campaigns – the funded ones – aren’t as simple or as cut and dried as something like Pay Per Click. Facebook promotion, where you pay a premium for a few added likes or shares, can have a habit of getting a little bit out of grasp – so be careful! Spending less now on what might be getting sold as professional SEO for a bargain rate might sound worthwhile, but long term, you’re in for a world of poor results. 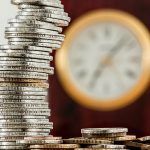 Cheap, poorly-realised SEO is hardly worth the money you fork out for – go with reputation and a firm that has a cast-iron plan – don’t be afraid to invest more in getting factors such as your long-term SEO sorted out sooner rather than later – or you’ll be paying for it in the long run. Found a website for £50 for your new e-commerce store? Are you sure the exact same template hasn’t been used in 163 otehr websites? Will it grow with your business? With internet marketing expanding like never before, there has of course been a boom in web developers and social media experts popping up – all of them offering expertise and, so they advise, something different. For small business owners such as those which we help in East Anglia, we cannot stress enough that doing your homework before you leap into a new partnership or before signing over your website or social media accounts is incredibly important? The reason? You could end up paying an awful lot for absolutely nothing at all. There are, sadly, some merchants out there looking to exploit businesses and individuals who reportedly have less expertise than they are letting on. This means your so-called ‘social gurus’, ‘web security aspects’ and the like aren’t necessarily as clear-cut as they may seem. Many of these gurus and ‘experts’ offer fancy tools and techniques with buzzwordy names which do very little – which means, we are afraid falls to you to look into a firm’s reputation and previous projects to ensure that you are set to partner with an expert who genuinely knows their onions. 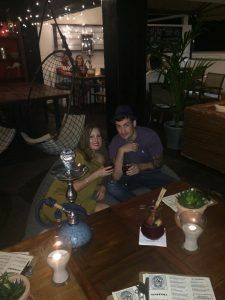 Check out their own social media – have they got a legitimate portfolio of clients and past projects to back up what they’ve been able to do for customers in the past? Are there success stories that you can read into and rely upon for your own peace of mind? Surely partnering with a firm that has proven experience and expertise is worth your while – why throw your precious time and money behind a shyster who is keener to fill you full of marketing spiel than faith in what they can do for you long-term? Web design, development and social media may be a lucrative market, but that does not mean you should fall prey to some of the shadier operatives trying to spin the industry to their own ends. Legitimate services for SEO and web development are not difficult to find – never go to the lowest bidder and do your research so you will not be paying a difficult price later down the line. Reputable businesses and developers who have legitimate tools and expertise will be shouting their success stories from the rooftops, and rightly so – why opt for anything less, or anything shadier? Don’t let the future of your business down by partnering with the wrong people now. Anyone who dabbles in web design and SEO will already know that Google likes to change things around every so often – and the landscape for search and browsing in general is always evolving, largely beyond our control. This means, of course, that we need to stay on our toes as marketers – so that we can continue to produce brilliant, worthwhile SEO action plans that reach the right people and offer the traffic and click-through conversions you are looking for. Having kept our ears solidly to the ground for the past few months, here’s what we are expecting to see take off in a big way come January. Not the ones in your head, but the ones your searchers are using to throw at Siri, Google and Alexa. Around 40% of adults, believe it or not, are now using voice search on a daily basis – and with 55% of web-browsing teenagers reportedly making daily use of the feature, it is time your website made room for conversational keywords and lingo as part of your SEO make-up. This has been a long time coming – believe us – but Google is now picking up on linkless mentions. For years, many SEO experts have been insisting upon backlinks always connecting to off-page authorities – yet, apparently, brands are now being readily associated with casual mentions. The times, they are-a-changing, although SEOmers suggested this was happening back in 2016 at a conference. Search results have never been more personal. You will likely find search results now tailored to your regular browsing, your app usage and your location more than you would a year ago – and this is only set to get more personal in 2018. 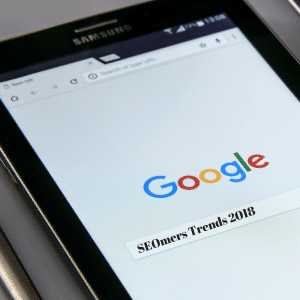 While personalised Google searches are on the increase, there are ways and means around the phenomenon – and it is all about making sure that you stay on top of your white hat SEO technique. Visual search – even if you have never heard of it – is getting bigger. We all love learning through images and video content – and it seems that Google is set to become more visual as the months go by. Google, Bing and more are investing heavily in visual search – meaning that we now need to think about working around text to cover all search bases. This is the clincher – SEO has never quite stayed the same for more than five minutes. That’s no bad thing – but it does mean that the rise of factors such as local search, voice search and more besides all add up to a year where we may have to rewrite the rulebook yet again. However, it’s all worth it – take it from us – as it means that you can continue to pinpoint those users who genuinely need you amidst a sea of results that are otherwise full of filler.